Teams will compete for a $170,000 prize pool. 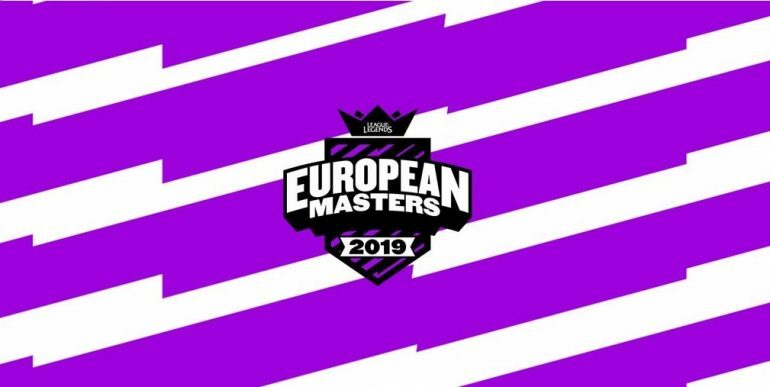 The European Masters event is returning this year and 20 of the best teams from across League of Legends’ regional leagues will compete starting on April 15 for their share of a $170,000 prize pool. Last year’s tournament saw Origen make a triumphant return with a team that included veteran Henrik “Froggen” Hansen and legendary Korean jungler Choi “inSec” In-seok. But MAD Lions secured a victory in the summer, leading to the majority of the roster being picked up by SK Gaming for the 2019 LEC Spring Split. All current LEC organizations have a second team competing in a regional league, which means that an organization has the chance to claim victory in the LEC and at European Masters. European Masters will begin with the play-in stage, which is set for April 8 to 11. The second-place teams from select regions (U.K., Spain, France, Germany, Balkans, Nordics, and Poland) will compete in a single round robin bracket for three available spots in the group stage. The top team will move directly into the group stage, while the winners of the second vs. fifth-place team and third vs. fourth match will compete for the final two spots. The group stage will then run from April 15 to 18 where the three qualifying teams from the play-in stage will join the 13 first-place teams from each regional league. The teams will then be divided into four groups of four teams via a group draw. Once placed in their groups, the teams will compete in a single round robin competition, with the top two teams from each group moving on to the knockout stage. The knockout stage will then see the eight teams competing in a single elimination best-of-three bracket, with the top two teams heading to the live finals on April 28. The European Masters event will run across the month of April starting with the play-in stage from April 8 to 11. The following week will feature the group stage from April 15 to 18 and the quarterfinals from April 20 to 21. The semifinals and grand finals will take place on April 27 and 28. The 20 participating teams will go head-to-head for their share of the $170,000 (€150,000) prize pool. A breakdown of the prize pool hasn’t been announced yet. You can watch all the action live on Riot Games’ official Twitch channel and ESL’s YouTube channel starting on April 15.